Step 2: Go to product verification system part and fill the form as shown below. 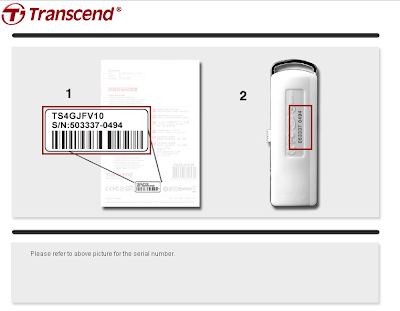 Input your product P/N or ID code (For example TS4GJFV15 ) which is present on the backside of box and it is above the barcode or click the link beside textboxto know your P/N. Input your product serial number which is after S/N and it is also present on the backside of the box and in between the barcode and P/N or ID code or click the link beside textbox to know your S/N. For product P/N and S/N see the screenshot present below. 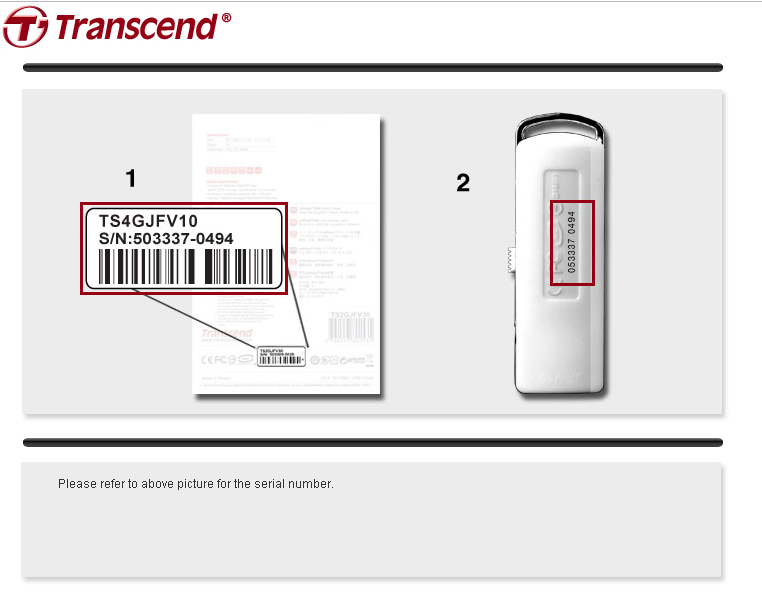 Input E-mail Id and if you don't want to receive exclusive information and special offers from Transend then uncheck the checkbox. Input your Language as English or any other language you know. Step 3: Click submit button and wait for result. 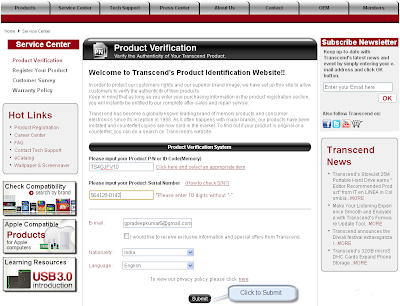 After processing is completed, you can see details below the verified Result if your product is original. If you have any doubts please comment.